This is one of those uncommon occasions when I’ve only seen one example of a particular watch. 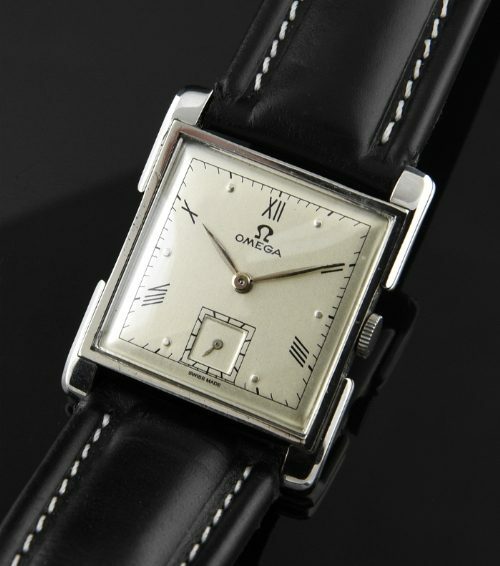 This very unique square 28mmx34mm.x6mm.thin stainless steel OMEGA dates to 1943. This OMEGA case is very interesting, having car bumper-like extended lugs with recessed crown and a low profile presence. There is some minor pitting on the case side-not visible while wearing. This dial was expertly restored-looking great. The manual winding OMEGA movement-cleaned and accurate. This OMEGA really exudes 1940’s flair. 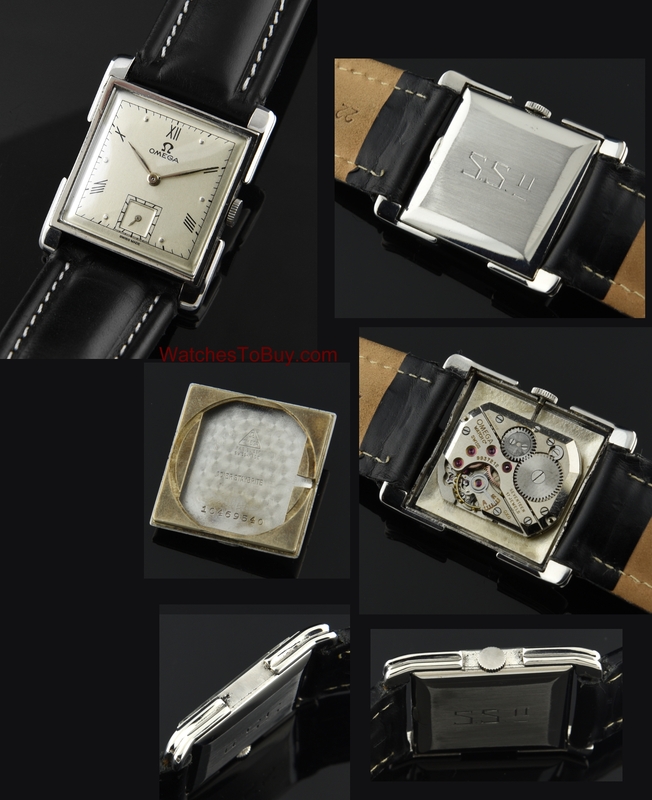 Enjoy this time-honored vintage OMEGA. You may never see another like it.